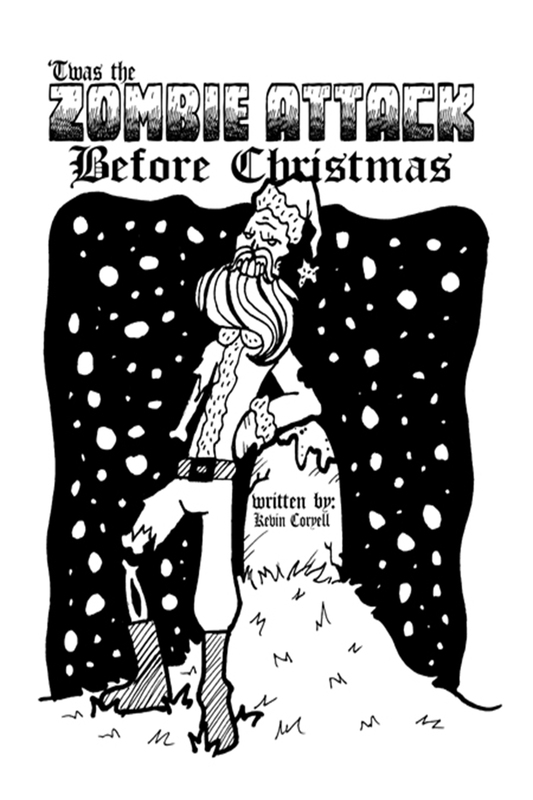 What the Book is About: A fully illustrated, twisted take on a classic Christmas poem. Instead of Visits by Saint Nick, we have Zombies wandering the neighborhood looking for those unlucky enough to be caught out on Christmas Eve. Dee E Said: This book is a great spin off of Twas the Night Before Christmas! Well written and my kids LOVED it! Noney Said: I didn’t realize when I downloaded this book that it’s actually a comic book. It is an amusing take on the “Night Before Christmas”. If you need a brief read with excellent drawings then I suggest this graphic novel. Keep up the good work Kevin Coryell and Kate Carleton! James Tippet Said: 11 out of 10 would recommend. Brilliantly written. And the art work is beyond perfect. If you’re looking for a good book, this is it. Which email did you use and we will make sure we reply to you right away! I do not see a mail in any of my emails however if you wish to get a signed copy you can visit our square store and all of our books and such are available through there. The Shop link at the top of our pages will take you right to our store! I do caution though that the book contains pictures of someone being eaten and has Zombies…they are kind of cartoonish and there is no actual blood but I feel that I would be in the wrong if I did not warn you of that facet of the book. Are you kidding me? Zombies and Christmas? My kids are bored with Christmas anyway and have a fascination with all things zombie. Zombie video games, zombie books, zombie movies. So this would be a great new tradition to have sitting around the Christmas tree. Can you imagine? I’d be the coolest grandma EVER! “Hey, I’m going to Grandma’s house to hear The Zombie Attack Before Christmas!” Grandma would rock! This is awesome. I have the perfect set of nephews that are going to love this to no end! I hope you are able to write some more so I can check them out as well!